Start your day listening to nature in our morning Yoga class. Awaken the body and mind with a combination of ashtanga style with vinyasa flows. The class is adapted to please every level of practice and everyone is welcome. A vibrant smile after class is guaranteed. Yoga class starts at 7.15am until 8.30am followed by out tasty breakfast options. 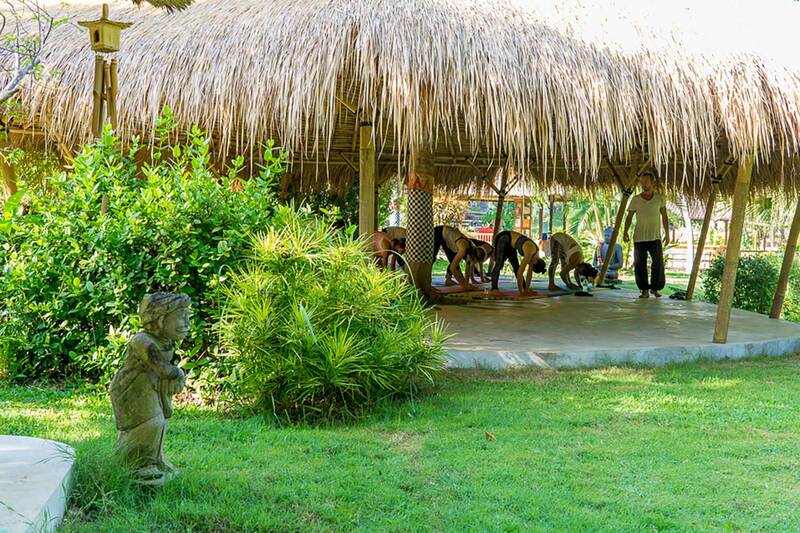 After a day of Surfing, Muay Thai, and adventure, come chill out with a relaxing afternoon yoga session. This restorative class combines long-held yin stretches with graceful slow flows and transitions, specifically targeting the muscles used while surfing. All poses are done from the floor (no standing postures), making this a relaxing, meditative class, perfect for increasing flexibility in a passive, restful way.